My son took me to Southern Season (an upscale food and kitchen supply store) in Chapel Hill, North Carolina. I had a blast on the barbecue and hot sauce isle. 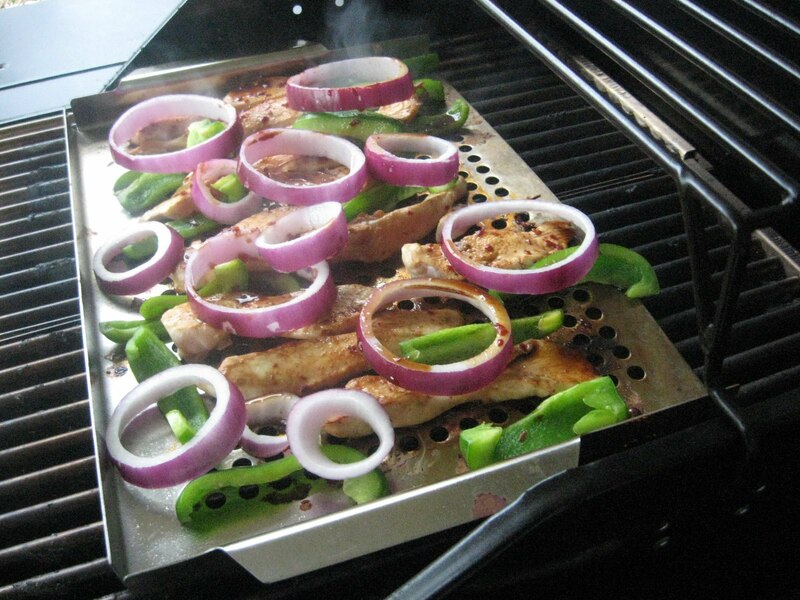 One of the products I picked up was Allegro Hot & Spicy Marinade. 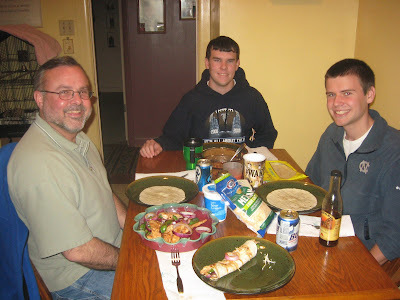 When I got home I decided to make fajitas with the spicy marinade, since I still had some boneless, skinless chicken from earlier in the week. Plus, I love Tex-Mex food. 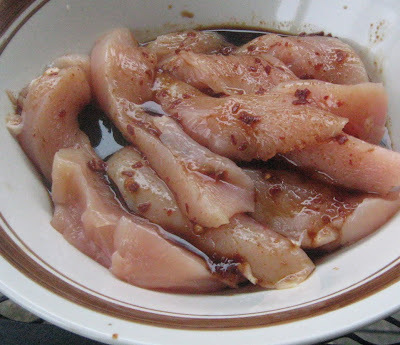 First I cut the chicken into strips. 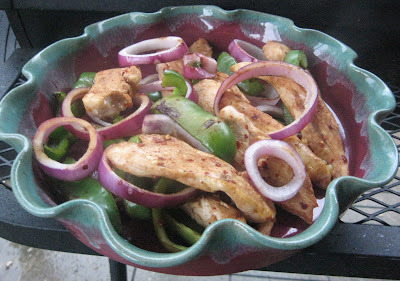 You can buy tenders which would already be cut in strips, but I had full sized chicken pieces which were easier cut up for this grilled fajita recipe. While the chicken was marinating in the spicy Allego sauce, I cut up my green peppers and onions. Once I had all the food ready for the grill, I heated up my grill wok. This is my larger grill wok, and it has small sides on three sides but no side on the fourth side. I won't try to explain that as I don't know why they don't have sides all round. Perhaps it's easier to pour the food out at the end. I put the chicken on and the green peppers but waited on the onions. 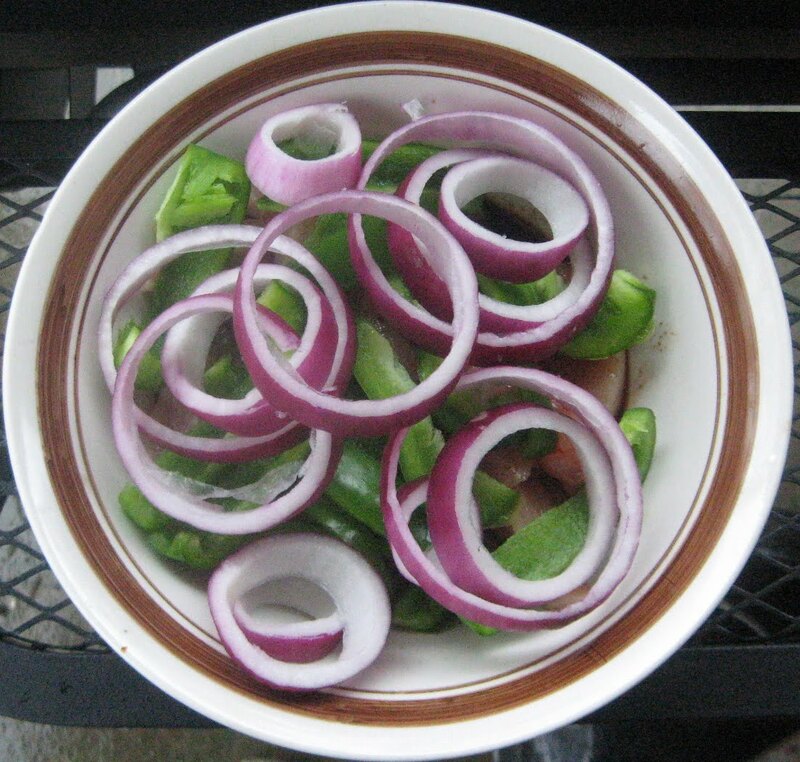 I find that onions cook faster, and they get kind of limp and dark if they go on at the same time as the meat and peppers. After the chicken was done on one side, I flipped all the pieces over with grill tongs. Plus, I stirred the green peppers around. The grilling time was around 5 or 6 minutes. I could see the sides of the chicken starting to turn a clear and true white which is how I know when to flip the grilled chicken strips. After flipping the chicken, I added the onions. Then, I stirred now and then over the next few minutes until everything was hot and grilled. I can't begin to tell you how great the fajitas were smelling. I could pick up the scent of the Allegro marinade, and it smelled fabulous. My mouth was watering. I was glad when the meal was ready to pull off the Char Broil Urban grill. We went quite informal tonight (not unusual). The boys heated up the burrito wraps (larger than fajita wraps) in the microwave, and they made a rice side dish. 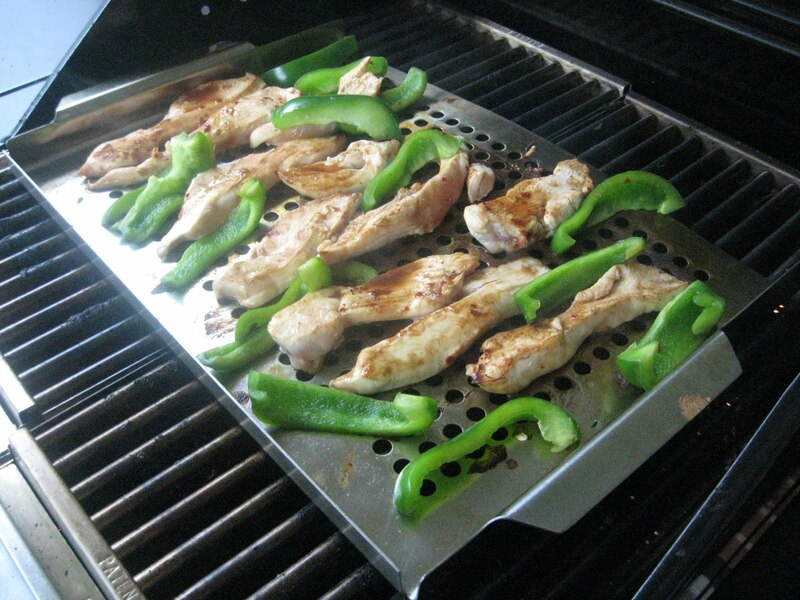 We dug in when I came in with the grilled fajita fixings. I must say that these were some of the best fajitas I've had. The Allegro Hot & Spicy marinade was terrific on the chicken. It was a nice smooth hot taste. I also use olive oil and taco seasoning and other marinades and sauces on chicken for wraps, but I'd say this was the best flavor so far. Allegro is just an all round delicious zippy marinade. I'll have to get my son to pick up some more when we run out. I haven't seen this version of Allegro in the stores, I have only seen the regular marinade. Will have to keep my eyes open.